Oh you pretty things! The King and Ziggy Stardust. Both great entertainers, both celebrating birthdays today - January 8th. Well, who knows if Elvis is celebrating, but we certainly are! We're celebrating by offering 30% off all new memberships. That's right, you don't have to be an Elvis Impersonator or a David Bowie Tribute Artist to get a serious GigMasters membership discount today. No matter what you do to entertain the crowd or contribute to the party, GigMasters wants to help you become a king (or queen) of getting gigs. But enough of that. Let's celebrate these two classic American entertainers by listening to a selection of some of their best music. 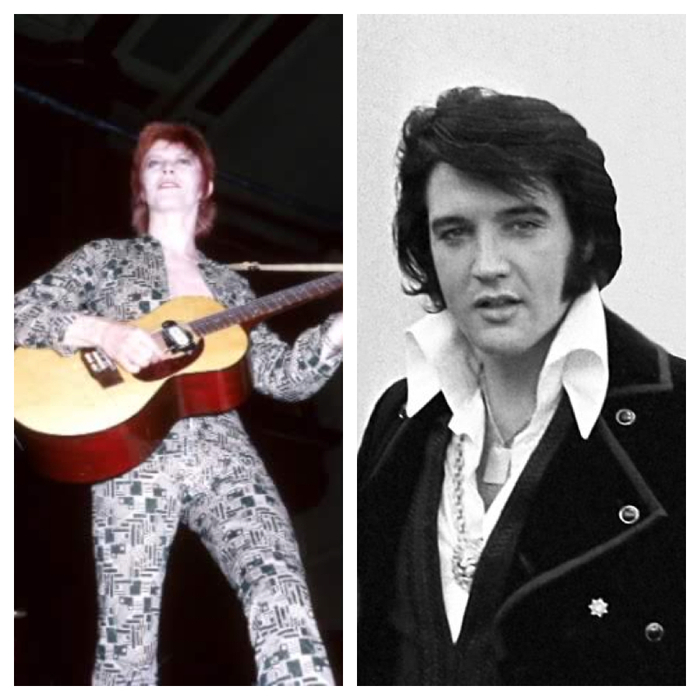 Check out our Elvis & Bowie Birthday Playlist below and let us know your favorite songs from the King and the Thin White Duke! For more Elvis & Ziggy Birthday adventures check out our Hiring Elvis post on our Life of the Party blog and for a look at some fun wedding with Elvis as the guest of honor, check out these Elvis Weddings on our Wedding blog.